“The GSU and the Coast Gasurd raided my property in San Pedro. They confiscated approximately $400,000 worth of property – cameras, computers, police gear purchased for donations (Note: I had donated tasers, pepper spray, to the SP Police department 4 weeks ago) and other items. They spent 3 hours ransacking every one of my buildings. This is the 8th search of my property since my disappearance. It is certain, in my mind that something or other was planted during this search. What it may be, I have no clue. This is the first time that they have openly taken items from me since the first raid in April of this year. This is all I know for now. Stay tuned. Update: Sam’s father has just been arrested. Threatened to taser him. Locked my housekeeper in her house. Terrorized her. This is April all over again. My email password has been changed. I am sure this is the GSU. They took my computers. 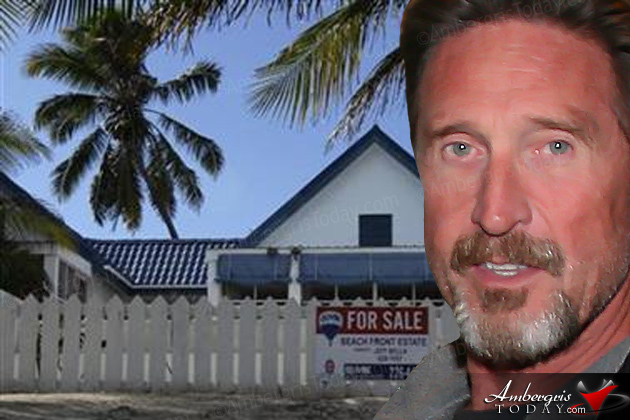 John McAfee continues in hiding from the Belizean authorizes who want him for questioning of the murder of his neighbor Gregory Faull. McAfee insists that if he falls into the hands of the Belizean Police, he would be found dead shortly after. McAfee is the police’s main person of interest for questioning. Meanwhile, McAfee has been very busy making posts on his blog, talking to radio shows in the United States and giving phone interviews with international news media. He stands innocent of murdering Faull, insists that he will not give in to authorities, says he does not believe he will be in hiding for too long and said that he does not want to leave the country because he ‘Has fallen in love with Belize”. On his blogs, McAfee has even described alterations he has made on himself to elude being identified and caught. People on the island swear to have seen him around, walking alongside the locals. It’s a mystery how local authorities have not been able to catch him yet.